Robots intelligence is going beyond borders and it may outsmart humans in some common games. Right now, these robots have their own personalities and if you are not skilled enough, they might get upset with you! The interactive Delta three-arm robot, Deltu, is able to interact with humans. This Interactive design consists of 3 arms, an Arduino mind, a ‘personality’, and two iPads that run Unity3d applications. 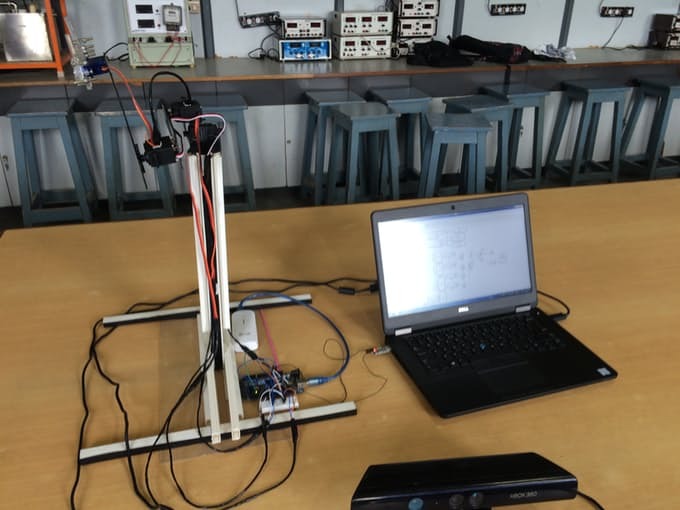 A HTTP request is send to the computer by the human’s application and then a Python server sends strings and commands to Arduino for controlling the robot. Deltu uses three different applications using symmetry as an interpretation, a mirror and a reflection of our own image. 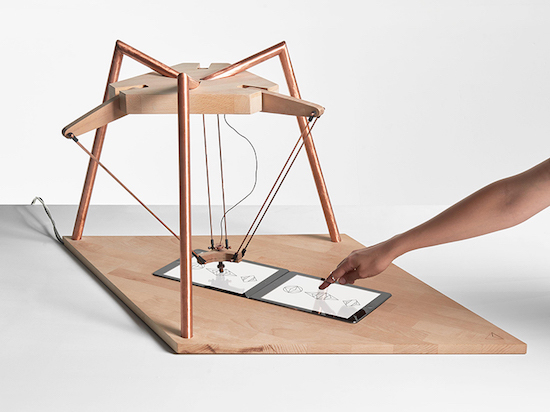 The first game “Together” is a drawing game where Deltu imitates and interprets what we draw. The second one is a battle between the machine and the human. And the final third one is a memory game where the human must learn from the robot. These games were designed to emphasize the special relationship with robots and its evolution. Deltu uses two iPads to play mimicking games with a human opponent. This sounds amazing – until you know that Deltu is very demanding. Once the opponent makes a mistake, it may stop and take selfies or browse apps. The robot creates patterns by pressing particular tiles on an iPad. If the movements are not mimed precisely, it will shake its adjoined arms in a side-to-side motion that appears to simulate frustration. Then, the robot exits the game and opens the camera app instead.It snaps a few photos of itself and uploads these to Instagram. It even takes a few moments to browse the Explore section and follow a new account, and looks through SoundCloud. According to the creators, the project explores the relationship between humans and artificial intelligence, as the role of these systems in society has not yet been defined. This relationship is not only making our performance better, also it may become a source of learning. Currently, this project only supports iOS and works on iPads. Deltu Interactive designer, Alexia Léchot, had also created other interactive games during her graduate study in ECAL – University of Art and Design in Lausanne, Switzerland.